Range masters should use this form to request shooting sports equipment for a district or council event. Cub Scouts can shoot BB gun rifles, slingshots, and archery at a council or district event, but not at a unit event. A copy of the certification for each range master (must meet BSA requirements) must be attached to this submission form before requests can be considered. A maximum of four documents (.doc, .docx, .zip, .pdf) can be submitted. If the documents are over 10 MB, please compress (zip) them. New: Cub Scout bows are for Cub Scouts only; not for Boy Scouts or adults. When an adult or Boy Scouts uses a Cub Scout bow, it stresses the bow. It also damages the arrows because a Cub Scout range firing line is closer to the target; the extra velocity tears up the bows. Do not allow Boy Scouts or adults to shoot the Cub Scout bows. Important: The event chair will request quartermaster equipment (e.g., barricade fencing, targets, t-post, t-post driver, tables, small parking cones for quivers) from the council quartermaster team when they place the order for the district or council event. Contact your event chair to request any needed equipment. Equipment may be picked up, by appointment only, on Friday between 2:30 pm - 4:30 pm, the week of the event, from the Cockrell Service Center, Program Services. Equipment needs to be returned on Tuesday between 2:30 pm - 4:30 pm, the week after the event. Date and time equipment will be returned (Tuesdays between 2:30 - 4:30 pm). Number of BB gun shooters on the range? Number of Cub Scout shooters on the archery range. Number of shooters on the range (troops, crews, ships). Number of wrist rocket (sling shots) shooters on the range. Number of tomahawks needed (Scouts BSA and Venturing only). BB Gun: One certified BB gun range master per eight shooters. Cub Scout Archery: One certified archery range master per eight shooters. Wrist Rockets: One certified range master per range plus one adult per shooter. The district executive and district event chair will be sent a copy of the email confirmation that is sent after this form is submitted. All range masters will follow all guidelines set forth in the BSA National Shooting Sports Manual. BB and archery ranges will have one certified range master for every eight shooters. Wrist rockets will have one adult per Scout shooting and one certified Range Master per range. The range masters will evaluate the property to ensure that the property and ranges meets all guidelines set forth in the Boy Scouts of America National Shooting Sports Manual. The range layout and limits and fall areas will be acceptable. Reference BSA National Shooting Sports Manual. All equipment will be properly cared for. Broken or missing equipment due to damage will be charged to charged to the district event budget at replacement value. Normal wear and tear will not result in a charge. Bow stringers will always be used to string bows. Any nonworking equipment will be tagged and defects noted when equipment is returned. Use painters tape or paper/rubber band to mark equipment that needs to be fixed; do not use duct tape. All equipment will be returned to the council no later than the Friday after the event. Guns will be returned empty of ammo and cleaned and oiled. All the velcro on the arm guards will be refastened. Knots will be taken out of bow stringers. Equipment will not get wet or be left in the heat. Equipment will be returned in the same box or bags in which they were issued. New: I will not let adults or Scouts older than age 11 shoot the Cub Scout bows or on a Cub Scout range. Adults and older Scouts that pull on Cub Scout bows ruin the bow. 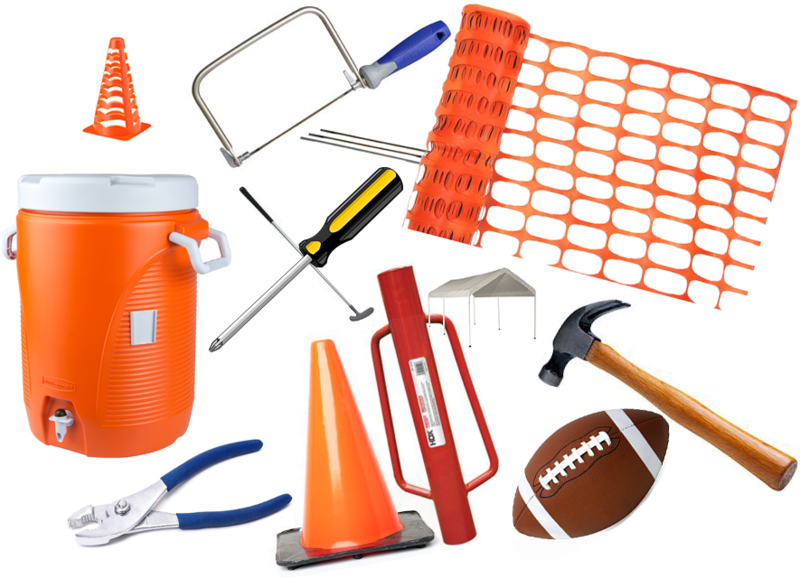 Request additional equipment such as archery targets (replacement cost is $30 each), tomahawk targets, barricade fencing, quivers (small parking cones), t-posts and t-post drivers through the event chair. Quartermaster equipment is ordered for the entire event by the event chair at www.shac.org/request-qm-equipment.